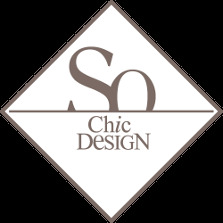 So Chic So Design is the site of announcements that helps you to find your rare pearl, the chair that you are looking for everywhere, the lamp that you dreamed of. Do you want to bargain- hunt a vintage or a designer’s item? Do not wait! We get you in touch with individuals who wish to sell their item. Buy safely and we can take care of your delivery. To obtain a transport quotation, add your article to the shopping cart and follow the instructions ! Do not hesitate to contact our team, if you are looking for a particular piece.